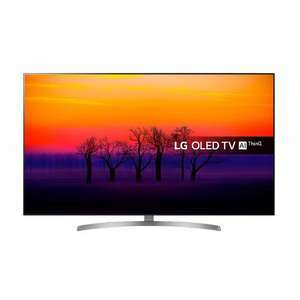 Previously an instore only deal for this LG OLED65B8SLC 65 Inch OLED , but spotted is now online (£200 discount applied at checkout). Comes with a 5 year warranty. Would expect Richer Sounds to price match if you prefer ordering from there. Anyone have a link to a guide on explaining this purchase to my wife? Purchased one last week from Richard sounds and they priced matched Costco plus £20 off and 6 year warranty included. And how many next week? What is the real rock bottom buy price? £1200? It was as low as £1399 on co-op electrical but that was stock clearance plus a £100 discount included and a 1 yr warranty. I doubt it will go much low than £1500 in the near further. Purchased one last week from Richard sounds and they priced matched Costco …Purchased one last week from Richard sounds and they priced matched Costco plus £20 off and 6 year warranty included. What that guy said! I did the same, my Costco membership had expired and they took that into account but I still got it a fiver cheaper. It arrived yesterday and is awesome. I paid more for my 55 inch Oled 4 years ago and the improvements in PQ is worth the investment. I'd definitely give a +1 for richer sounds, purchased this T.V in December and panel had banding and dead pixels after 3 months. They changed out the panel straight away no quibble. Bought this 2 weeks ago and got Richer Sounds to price match. Absolutely incredible set and I’m coming from a 55” B6. Yup, richer sounds price matched & beat it. Didn't even have to show my costco card. I bought this TV last week after Very sent me a 20% off my next purchase discount code, worked out at just under £1440 with about £60 cashback tracking through TCB, so hopefully my final price will be £1380. Even at £1500 it still worth every penny id say. Really impressed with the TV and WebOS is great for switching between apps. Picture quality is amazing and I was able to wall mount it myself which shows how far TVs have come in relation to size and weight, I remember a 60" I had years ago took 3 of us to wall mount it lol. One negative I have is freeview play is not very good and takes a while toload the epg, I have been looking into it and seems a common problem with LG and Freeview Play. Not that big a deal as I dont really watch freeview anyway but worth noting if you do. Doesnt costco apply an additional 1% on certain memberships? so you'll have approx £15 back as well ..
LOL.... Maybe in 2 years. Not a bad price as as long as the warranty is rock solid . Are men wimps in the UK? Why are so many scared of their wives? It seems like controlling behaviour, which is now a criminal offence! Remember, according to women, Richer Sounds discriminate against men - their pay difference is negative, so they discriminate against men and gloat about it, instead of saying they aim to eliminate it. This is one reason not to buy from them! Good deal. I have been considering the 55” inch for awhile and waiting for a decent offer on that again. Although I really don’t consume a lot of TV, I like the gallery feature and the idea of having a decent TV for when I do watch the F1, however having said that, this would generally be a 720p stream via NowTV... plus this years models are due soon which have Airplay 2, it’s a real disappointment they are not adding them to previous years models like other manufacturers. Alright guys how is this compared to Samsung qe65q6fn? I got the the qled for £200 cheaper also with 6 year warranty which is yet to be delivered. Would you say this a better tv than the qled? Will be using the tv mainly for gaming on ps4 pro. Alright guys how is this compared to Samsung qe65q6fn? I got the the qled …Alright guys how is this compared to Samsung qe65q6fn? I got the the qled for £200 cheaper also with 6 year warranty which is yet to be delivered. Would you say this a better tv than the qled? Will be using the tv mainly for gaming on ps4 pro. As usual if anyone is looking to buy LG B8 and would like to see some videos about it then I have made plenty that others have found useful.Videos included the unboxing and set up of both the 55 and 65 inch,demos of low quality TV content,gaming,tips and tricks and loads more. perfect timing, john lewis have just written off my last TV bought 4 years with a full refund of £999- will see if they will price match. 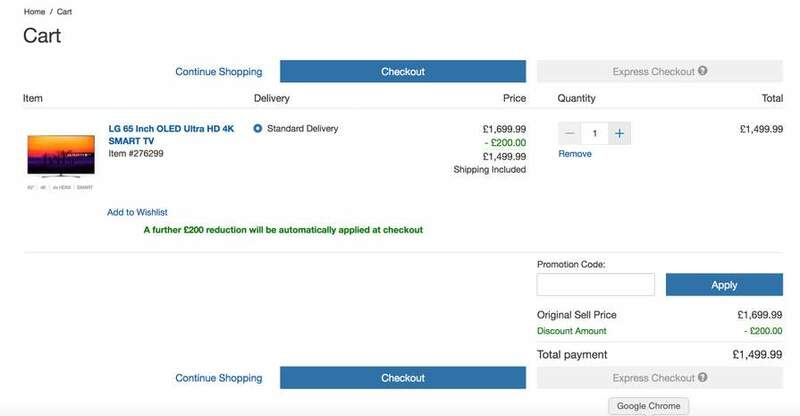 Incidentally the John Lewis TV replaced a Costco Samsung bought in 2013 which Costco also gave me a full refund on.